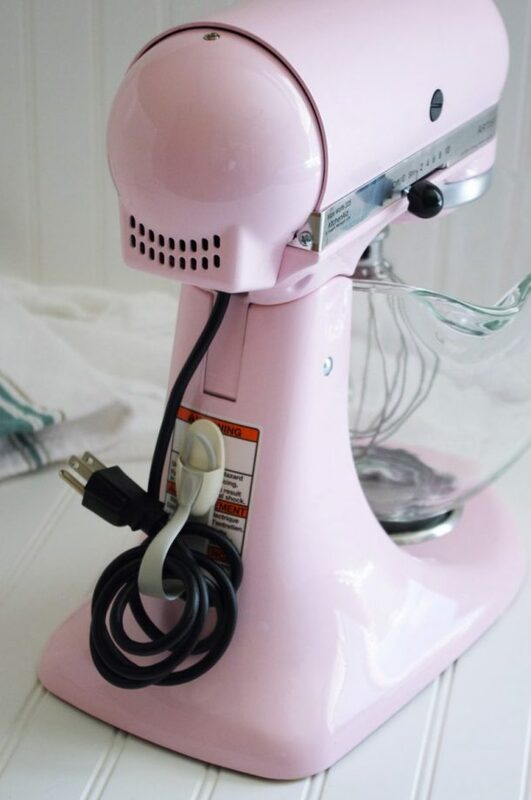 I saw this idea when I was desperately looking for ways to organize my out of control kitchen. 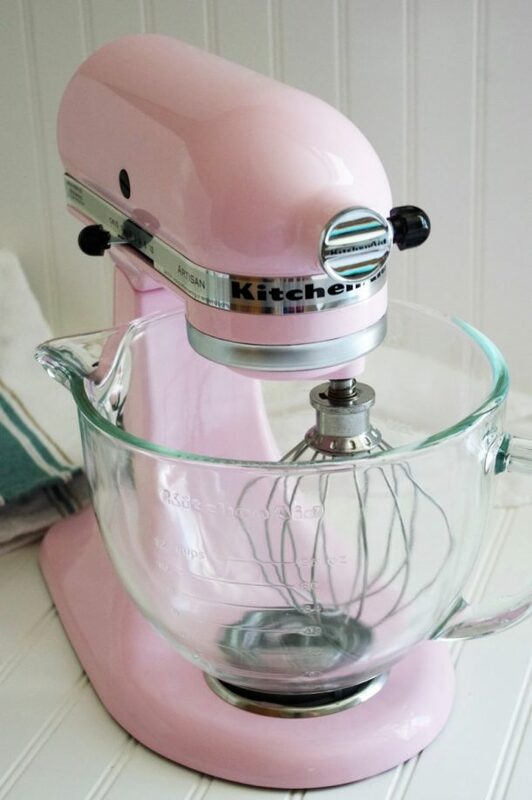 I was a bit skeptical and kinda worried it would look crappy on my beautiful new pink KitchenAid stand mixer. But I also hated the cord being either plugged in or all over the place all the time… or both. Lookit how nice and neat it looks and isn’t going to get in the way anymore!!! 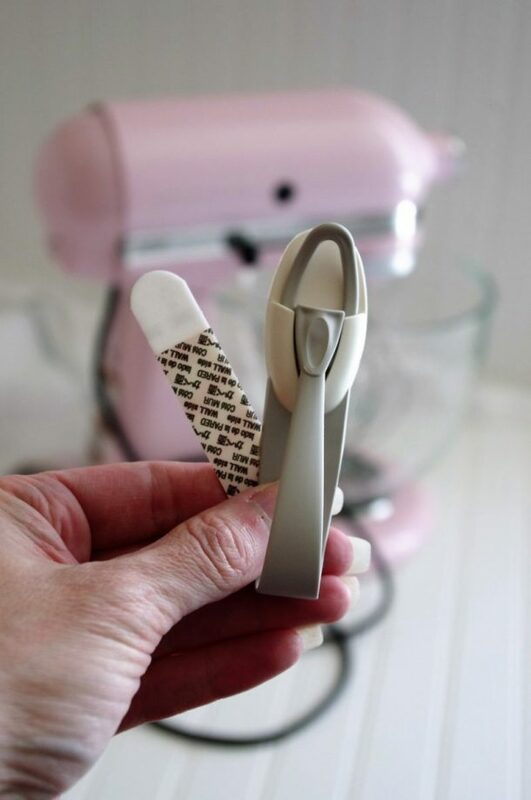 Really handy too if you put your appliances away in a cupboard or pantry. So much easier to store neatly with the cord under control right on the gizmo itself. Isn’t she pretty with her cord all tucked behind her now? LOVE IT! 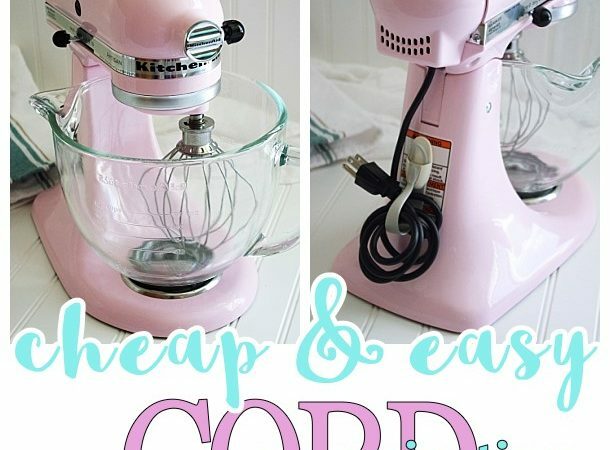 Don’t forget to pick up some of these magical Cord Bundlers on the cheap and make sure you get enough for all of your appliances, corded beauty and workshop tools and whatevs! Thanks again to the interweb for this awesome idea – you did us a real solid. 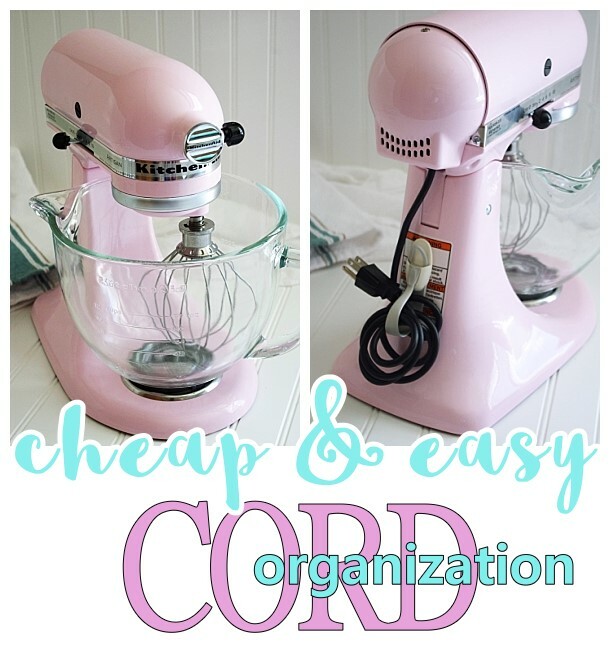 I discovered these cord bundlers and love them. 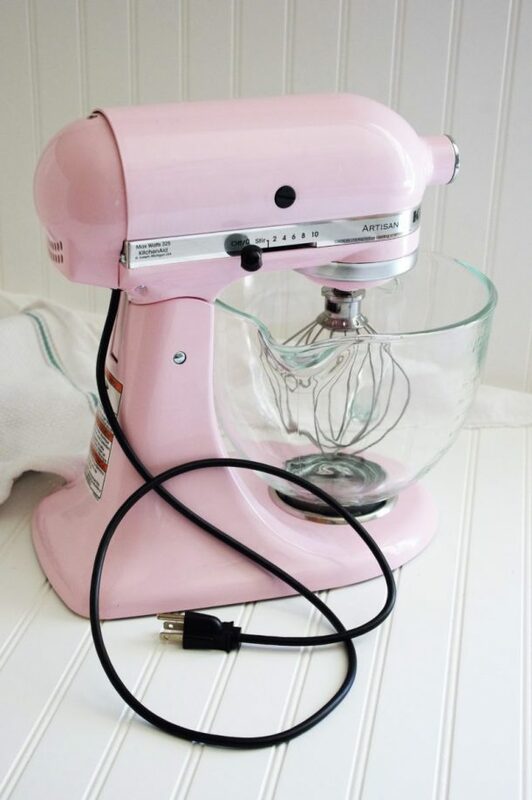 Didn’t think of kitchen appliances but will use your idea. Thanks. I put them on ack of tvs to bundle cords. . Also anywhere I use extension cords. I hate loose cords. I feel that is among the such a lot important information for me. And i’m happy reading your article. However want to remark on few general issues, The website style is wonderful, the articles is in point of fact nice :D. Excellent job, cheers. Thank you sooooooooooooo much for this great idea. 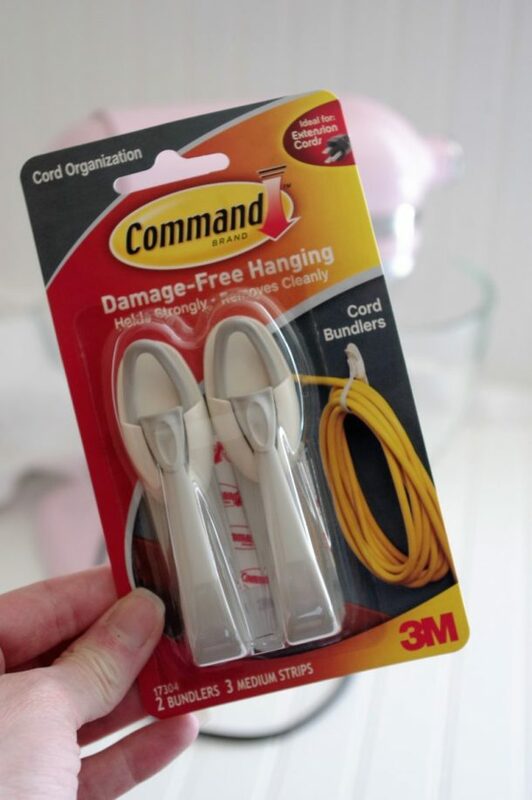 I didn’t know they even sold something like this…on my way to get a few of these cord bundlers! 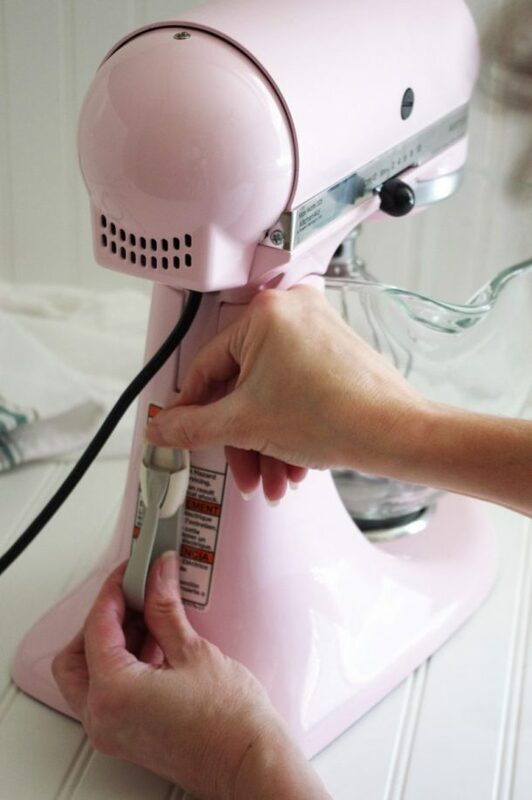 I usually don’t leave any comments but morning I saw you blog and had to leave a “hats off to you” message for your ingenious idea of the cord plug for your kitchen aid…. LOVED IT!!!! Thank you so much, Corina! I agree, it’s awesome! It’s not my idea, but I saw it, loved it, tried it and HAD to share! 🙂 People are SO clever. Great idea, Kaye! I’m so trying it.